Last year I introduced Alif Baa app on my blog in an introductory post about Alif Baa. They have now launched and are joining in with my Saturday Spotlight with a guest post. Using apps encourages social interaction while you are learning. A professor at the University of London, Rose Luckin, claims that children who are preschool or kindergarten age will often want to show their parents what they learn using these apps. This leads to important bonding time between the parents and their children and it helps to reinforce the lessons and skills the children are taught by the app. Alif Baa is an app that encourages friendly competition between friends and family. Children can play educational games against their friends or siblings and learn while they are having fun. These games keep track of your child’s development and uses interactive sounds and voice instructions to maintain a user friendly interface. The scores can even be shared via social media to encourage others to join in the fun. It is because of these games that children enjoy using an app like Alif Baa so much. This mix of entertainment and education, called edutainment, keep children engaged while also teaching them valuable skills. Since the games are so fun to play, children will want to play it more than once and the skill becomes reinforced through repetition. Another benefit of this gameplay orientated teaching method is that the child will be rewarded after each level they complete with a score. This provides an incentive for the child to play the next level, or to repeat a level until they get a perfect score. While an app should never replace human contact, it can be used to free up some of a parent’s time. Leaving a child with an educational app to play, such as Alif Baa, is much better than putting the TV on to keep them busy. While you complete your tasks, your child will be busy learning and having fun. The entertainment aspect is especially important when you want your children to learn a new language. If it is presented to them as work, they will grow tired of it. If they have fun, they will not even notice that they are also learning a new language. Using an app as a way to learn a new language is also much more convenient than hiring a tutor. Your child will be able to use the app anytime, anyplace. If you had hired a tutor, your child would know they are being taught something and they would not see it as a fun activity. Playing a fun game will be something they’d want to do in their free time, which means their free time will be more productive by using Alif Baa. 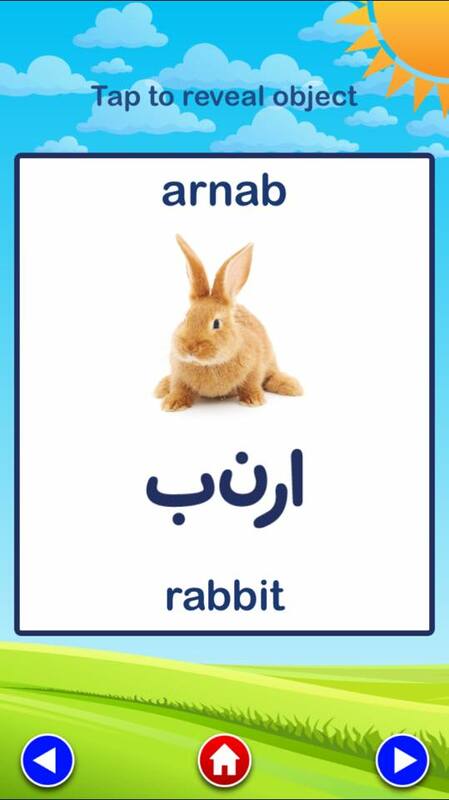 Alif Baa was designed by teachers, speech and language therapists, and has been tested by parents and children. The feedback parents give for this app is overwhelmingly positive, many praising the efficient way in which their children learnt to read and write Arabic. This app features games with varying levels of gameplay. Clues and hints for these games can be activated to make them easier for beginners. It helps children with their handwriting and it tracks all of the progress they make. 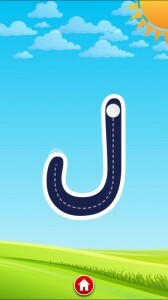 This app is a wonderful way for parents to keep track of their child’s education. A Highly recommended purchase for all parents. Great app! It would be fun, informative and guilt free app for parents to install. Recommendable. The best part is that the scores can be shared via social media. Massive boost for them techy kids. Fozia, I need to keep an eye on your blog. Will be really helpful for me in the coming years. Thanks for sharing such informative posts. Good effort for children! Barak Allahu feeha! This looks cool and progressive masha’Allah! I need to try it insha’Allah :). Will definitely be getting when my son is old enough, inshaAllah! Wow an app that should be considered.Thank you for introducing to us. Will definitely look into it. As you mentioned can stay guilt free while the kids are having fun and our works are getting done. JazakAllah for sharing edutainment app. Will be looking forward for more. Apps are great educational tools ~ I always encourage parents to use them at home as part of fun learning process. With supervision and support of course. The Alif Baa app looks like a fun learning experience to look forward to. Jazaakillah for sharing.